The country lies on the eastern Himalayas.It is bordered by China in north & the Indian states of Arunachal Pradesh,Sikkim,Assam & west Bengal in the east,west & south.One can have a spectacular flight across the Himalayan range includes Mt.Everest, Kanchanjunga, Lhotse, Makalu in Nepal & fabled city of Lhasa which includes Potala Palace,Jokhang Temple,the Norbulinkha Palace & the monastries of Drepung & Sera. 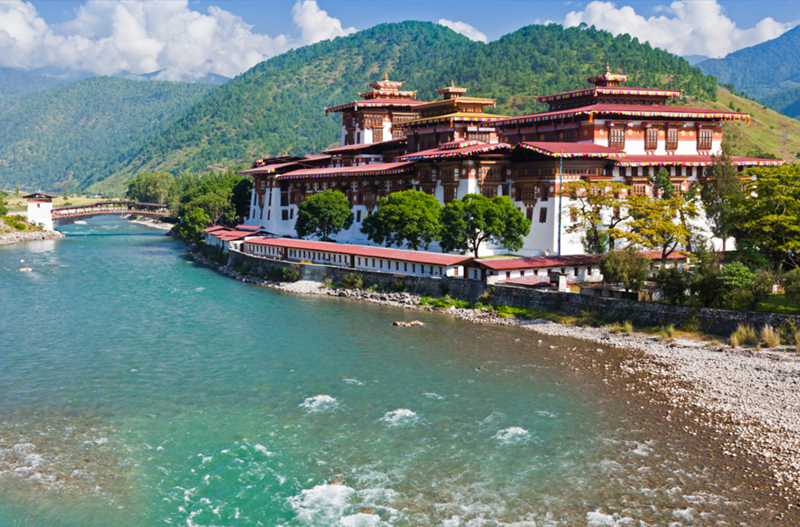 The foot of the incredible journey travels to the remote Kingdom of Bhutan.It is known as the land of peaceful Dragon & one can feel the unique Bhutanese culture,tradition,custom & enjoy sightseeing in the capital Thimpu including Taksang Monastry, the famous ‘Tigers Nest’. Nestled in the Eastern region of the Himalayas, Bhutan is a small country roughly the size of Switzerland and fondly referred to as Druk Yul (Land of the Thunder Dragon) by the Bhutanese. Bhutan has remained a country where age old customs and traditions are still part of the everyday lives of the people, even while modernization, development and the strains of global influence are felt more and more.It is sandwiched between two of the largest and most populous countries on the planet- India and China. 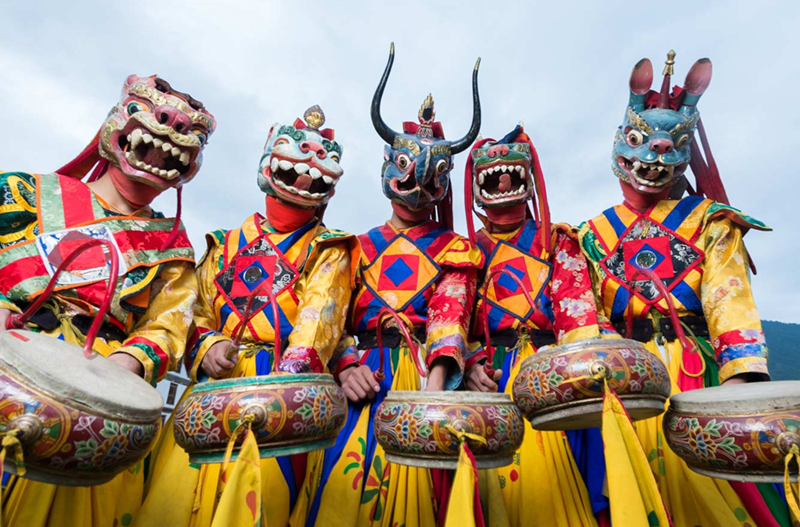 The country opened its door to tourism only in 1974 and remains largely untouched by the outside world.Bhutan has preserved its traditional culture and rich biodiversity in undiluted form.You will be able to explore a new experience of unique culture, mask dance festival. The mask dances are performed inside the centuries old fortress and monastries. 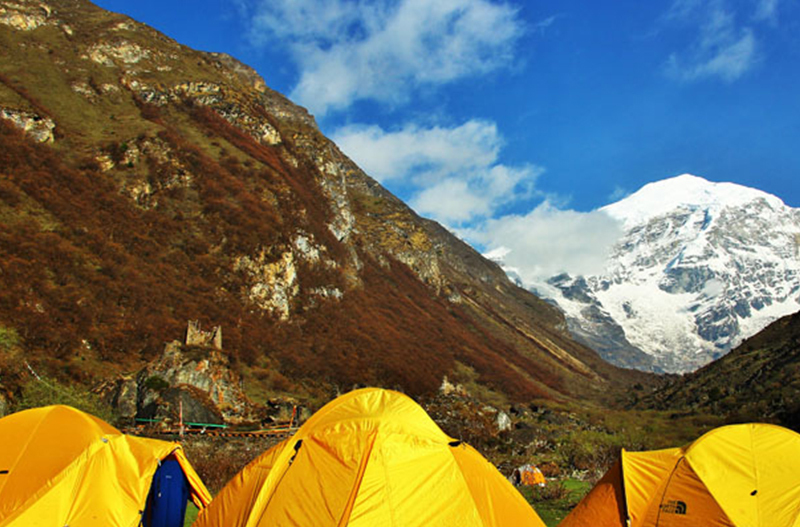 For the typical and ideal trip you can have trekking to high snow capped mountains some of which regarded as toughest in the world. Bhutan, increasingly renowned as one of the Earth’s last precious unspoiled spots.In this country, Buddhist culture is integrated into every respect of people’s daily life and spectacular mountain scenery provides a backdrop to pristine forests and picturesque valleys. The superb landscape with fluttering prayer flags, colourful farmhouses amidst the terraced fields lure the visitors eyes. We always sincere to follow high value, low impact sustainable tourism policy. We believe in quality and atmost sincere to conserve the environment. Just plan to visit this Land of Thunder Dragon, then we schedule the whole activities. Arrival pick up & transfer to Kathmandu hotel. Evening an exploration tour to Kathmandu durbar square,overnight at kathmandu hotel.